This is beautiful and awesome. For a really cool experience open the video full-screen, sit back, and relax… Thanks Carter for sending my way! This is a brilliant information design project, and an astounding reminder of the scale of money we talk about in public finance. 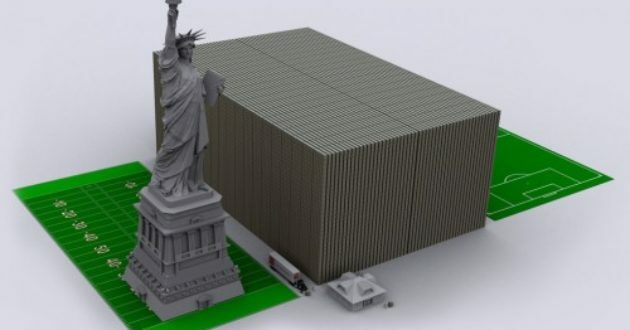 >> Link: US debt problem visualized: Debt stacked in 100 dollar bills. What’s that you see from your airplane window?